June 06, 2018, 9:14 a.m.
Last week, sandwich and coffee chain Pret a Manger announced it would be offering a £1,000 bonus to 12,000 members of staff. 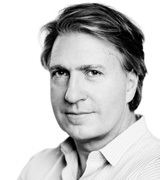 The bonuses will be paid at the end of the summer after the completion of the brand’s sale by UK-based owner Bridgepoint to German holding company JAB. The story is a far cry from March last year, when Pret had to backtrack from plans to offer one-week unpaid work placements to teenagers to shadow current employees. YouGov BrandIndex data shows last week’s news not only created positive headlines, but has given Pret’s brand perception a shot in the arm. Our figures also reveal it has led to a significant rise in the food outlet’s attention score (measuring whether people have heard anything about the brand), which rose from three to 12 over the course of the last week. 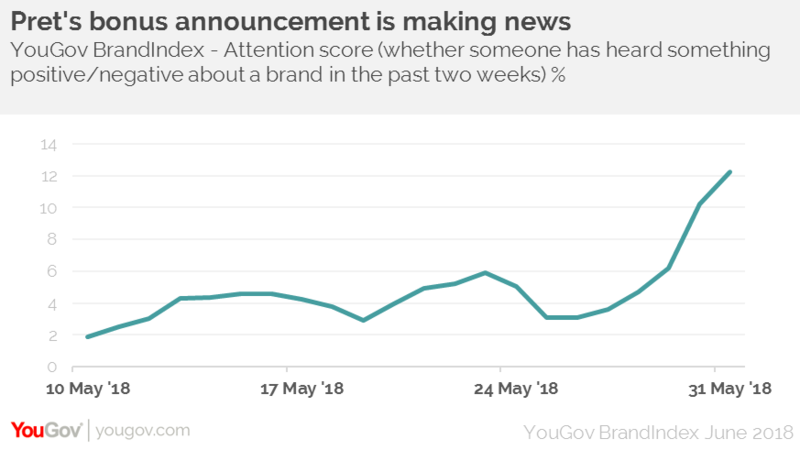 Among the general public, Pret a Manger’s impression score (whether someone has a positive impression of the brand) jumped from 17 during the week the news was announced to a peak of 26 on the 1 June. Added to this, its reputation score (whether someone would be proud to work for a brand) has increased by five percentage points from 10 to 15, and its consideration score (whether someone would consider purchasing from Pret) has risen from 14 to 23. This could be important as the company has previously stressed that it relies on EU workers to fill its posts, claiming just one in 50 applicants is British. YouGov Profiles data shows that Pret current customers are more likely than the average (46 per cent vs 37 per cent) to say that they only buy from companies who have ethics and values they agree with. Seven in 10 (71 per cent) also say that they think the minimum wage is too low. YouGov data has often recorded how brands being known for positive staff relations can contribute to a jump in perception and purchase consideration – one example is Lidl and its commitment to paying above the living wage. Pret will be hoping for a similar reaction from the public in the coming weeks and months.